Thread in 'Competition' started by Amnesia, 22 May 2007. OOOOO. Nice! Grats on finally getting that GM! He got it on my supergun, which is real hardware, too. AND as a witness I can attest that he really got it. 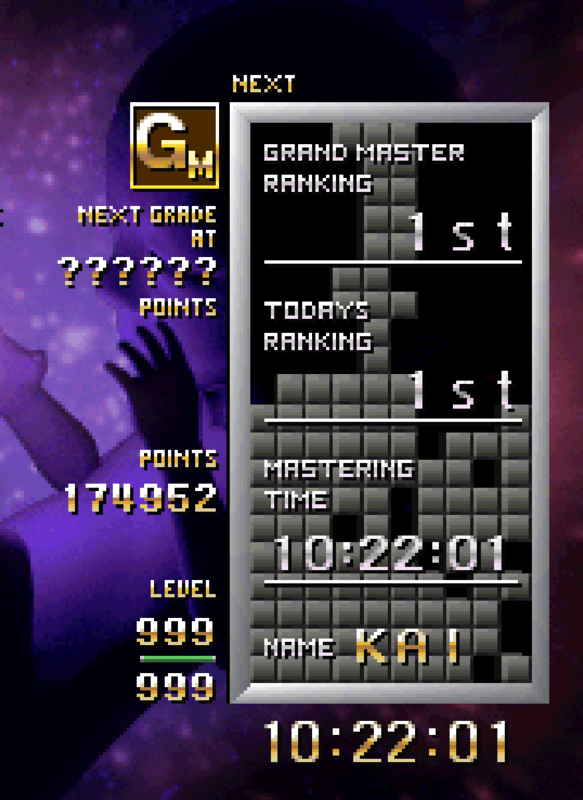 Legit Grandmaster, can talk with presidents now. gontrollez, JBroms, d4nin3u and 2 others like this. GyRo, Qlex, d4nin3u and 3 others like this. Qlex, JBroms and mycophobia like this. Jii, Qlex and EnchantressOfNumbers like this. simonlc, Jii, Qlex and 3 others like this. simonlc, Qlex, d4nin3u and 3 others like this. Qlex, EnchantressOfNumbers, ei and 1 other person like this. GyRo, simonlc, Qlex and 4 others like this. 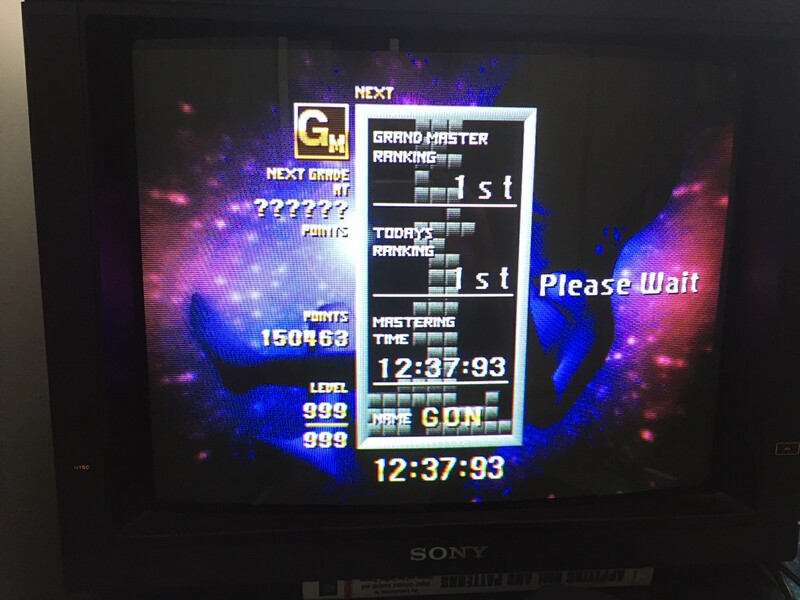 Still not very satisfied until I get sub 9min10..
GyRo, simonlc, aperturegrillz and 2 others like this. 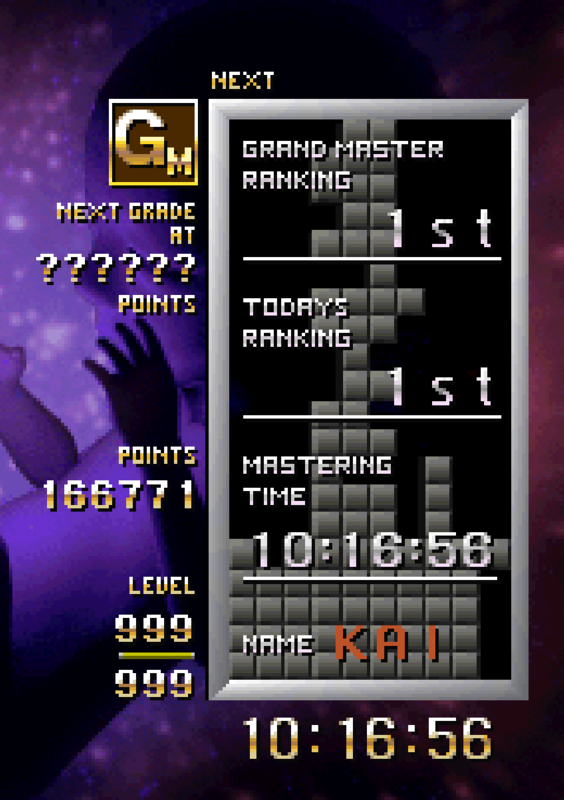 Sub-10:30! 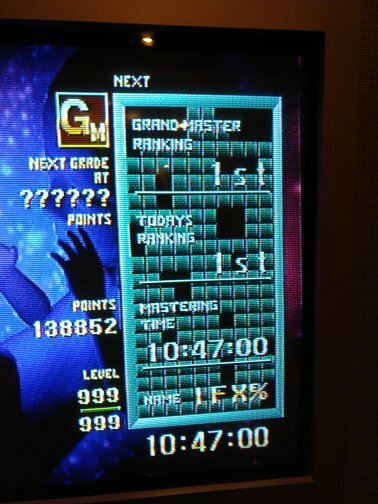 Hit my yearly goal for TGM1! GyRo, EnchantressOfNumbers, Qlex and 1 other person like this. 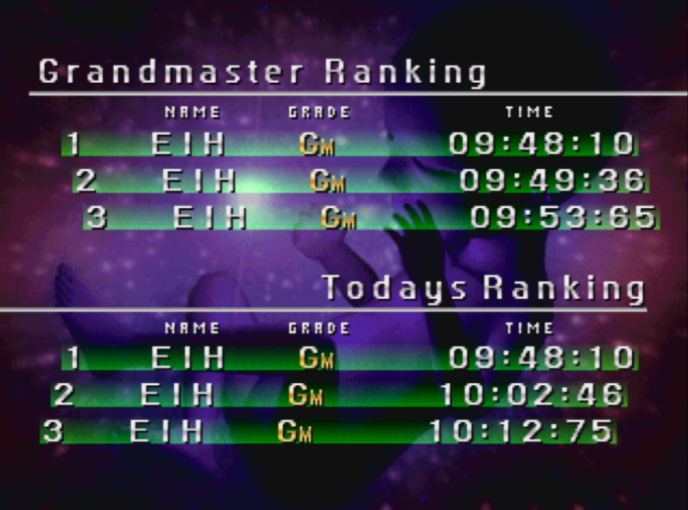 Another small (~1 second) improvement. 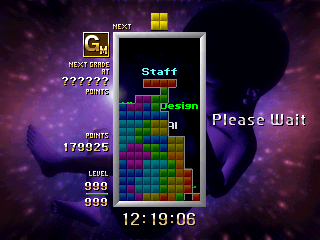 Shame it somewhat wasted a ~5:00 500 time with slightly sloppy 20G play. Oh well, inching that time downward. EnchantressOfNumbers, simonlc, mycophobia and 1 other person like this. Qlex, Xaphiosis, EnchantressOfNumbers and 3 others like this. Qlex, d4nin3u, mycophobia and 1 other person like this. K, Qlex, JBroms and 3 others like this. Sry, no video this time. Qlex, EnchantressOfNumbers and mycophobia like this. 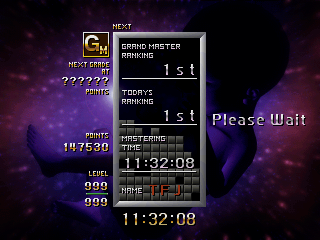 A few days ago I rolled out of bed & played one game that finally bumped my Texmaster time with a legit TGM1 record. JBroms, EnchantressOfNumbers and mycophobia like this. simonlc, Qlex, ei and 3 others like this. simonlc and mycophobia like this.